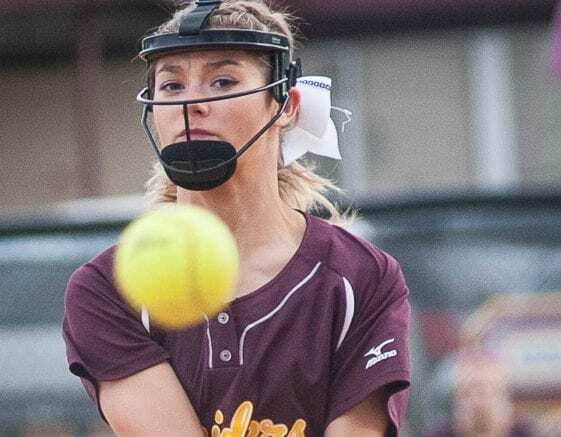 COLONIE – The Garnet Raiders won a Senior Day, Suburban Council matchup at home by beating Guilderland 9-3 on Friday, May 12. Maria Tedisco and Emily Kurtzner teamed up on the mound for Colonie and allowed seven hits while walking four and striking out 11. Four of the hits and all three runs came in the seventh inning when Guilderland – who played as the home team at Colonie High School – made a mini-run on a two-run double by Arielys Rodriguez. The pitching duties for Guilderland were split between Amanda Smith and Michelle Topaltzas. The duo gave up 11 hits – including a two-run blast in the fourth by Madison Judge – while walking seven and striking out three. For the Garnet Raiders on offensive, Judge went three for five with the home run and two runs scored, Lexi Szesnat had a triple and scored twice, Bella Kieran had two singles and her courtesy runner scored twice, Emma Johnson went two for four and Sarah Baluch, Darianna Resciniti and Ciana Phillips each had a single. Guilderland was led by Amelia Kedick and Alyssa Burg who each went two for three with a run scored, Rodruguez went one for two with a run scored and Sarah Mahar and Kaitlyn Paul each had a hit.